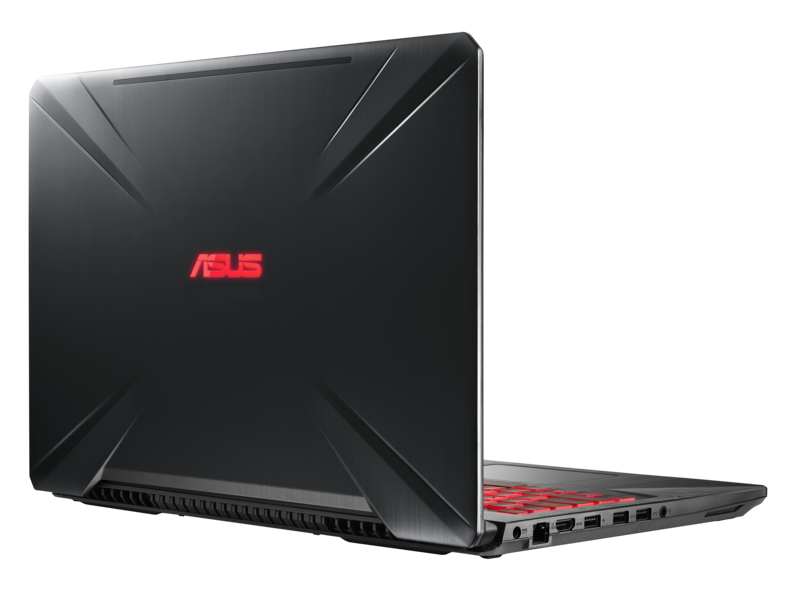 Tech giant ASUS today unveiled new variants in the TUF Gaming Series that are powered by GTX 1060, delivering an immersive and durable gaming experience. This series embraces the core essence of the legendary The Ultimate Force (TUF) Series, resulting in affordable gaming laptops that prioritize stability and durability above all else. 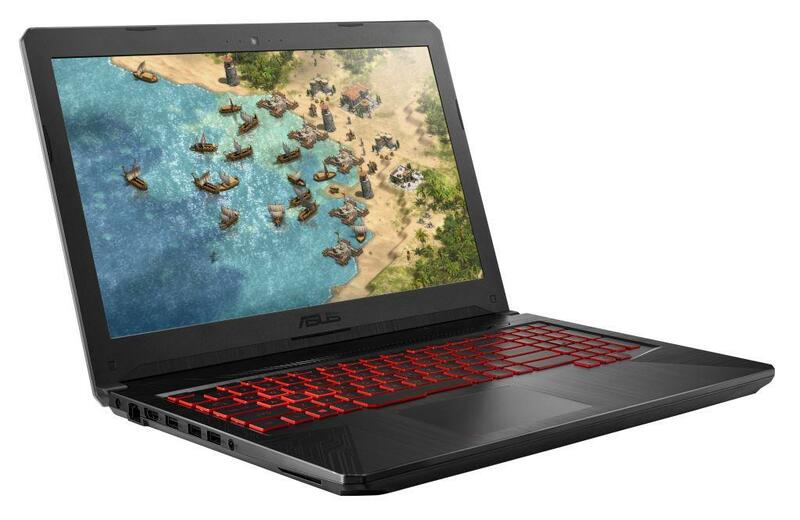 Following the overwhelming response from the consumers ASUS has also revised the pricing of previous models, making superior gaming laptops highly reasonable for users. Infused with the spirit of The Ultimate Force (TUF), the FX504 is powerful, portable, an enduring all-rounder, enabling easy multi-tasking and delivering the highest standards of toughness and durability. FX504 is powered by the latest 8th Generation Intel Core i7-8750H processor, and features NVIDIA GeForce GTX 1060 graphics with full Microsoft® DirectX® 12 support. 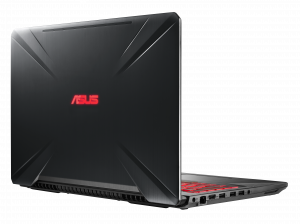 It comes in a slim 2.5cm chassis weighing just 2.3kg making it the most portable gaming laptop with GTX 1060. Along with that it also comes with 8GB DDR4 RAM, 1TB FireCuda SSHD, and 128GB PCIE SSD. With the combination of all high-end hardware, it offers a combination of performance and portability that’s great for on-the-go multitasking, entertainment, and gaming. One of the key features of this gaming beast is HyperCool technology. HyperCool technology pairs the patented Anti-Dust Cooling (ADC) system with Fan Overboost. The ADC system expels harmful dust particles and dirt through two dedicated tunnels to prevent build-up in the thermal fins. The Fan Overboost function provides users with three different modes for the perfect balance between fan performance and noise level. All of this taken together significantly prolongs the lifespan of the FX504 and provides stable cooling during intense gaming marathons. The FX504 i7 version comes with a 15-inch FHD display with an ultra-fast 120Hz refresh rate & 3ms gray-to-gray (GTG) response time along with 130% sRGB color gamut, and wide-view angle. With 120Hz high refresh rate, it gives a gamer the best gaming visuals. The FX507 i5 version comes with 15-inch FHD IPS display with 60Hz refresh rate. The FX504 comes with a desktop-style gaming keyboard that’s perfectly optimized for extended gaming and typing sessions. It’s one of the most durable keyboards to be found in a laptop, with a lifespan of 20 million key presses. It has a 1.8mm of travel for smooth and tactile keystrokes along with backlit keys with highlighted WASD keys. ASUS TUF Gaming FX504 will be available at the below-mentioned prices is available from 1st Aug in LFR Stores, Online stores and with our Asus channel partners.